Pakistan along with the rest of the world is slowly turning to healthier food and lifestyle choices. As information regarding unhealthy choices is verified by scientists, with each passing day, people are looking to make dramatic change their lifestyle. While there are numerous options for those who want to live healthy globally, in Pakistan the choices are limited. This is where the Khalis Food Market truly stands out as one of the few avenues promoting organic produce and consequently a healthier lifestyle in Pakistan. 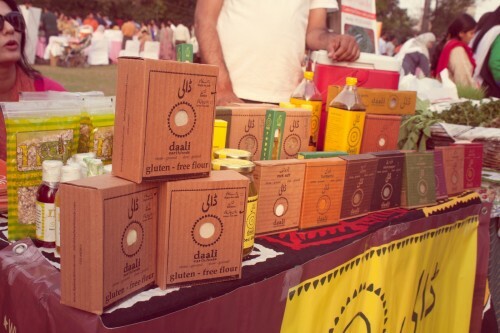 Khalis Food Market first started off in April 2013 with approximately 1000 attendees and in April 2015. The number grew six fold with the total 6000 people attending at the latest event which goes to validate the interest of the Pakistani market in all things organic. So far, there have been a total of 12 farmer’s markets in the short span of two years and the interest continues to grow. While Khalis Food Market is primarily focused on food, there areother products also available at the market which fall into the realm of healthy living. 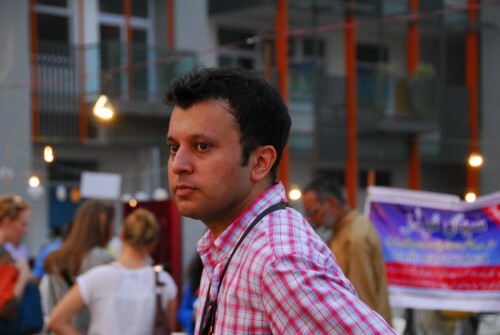 Rizwan Naeem, the man behind the Khalis, Pakistan’s first farmer’s market, spoke to us about the available items at the Market. He told us that the available products have been segregated into perishables (fruits and vegetables), poultry, dairy, grains, value added natural items, homemade foods and baking, healthy cooked foods through small and exclusive restaurants. Some of the most popular items have been achaars (pickles), chutneys, herbs, seasonal fruits, seafood, sushi, cheese and fresh juices/concentrates. What is important to see is that farmer’s markets such as this are more than anything else, working to build bridges between buyers and sellers. In Pakistan, organic items are not created on a mass scale and so marketing and selling products like this becomes quiet the hassle. 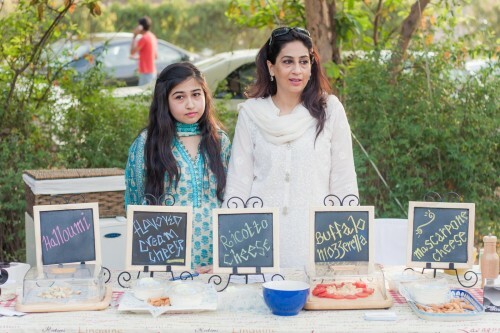 Fauzia Rehman, of Persian Treats has been a long time participant of different farmer’s markets where she offers a wide range of organically produced Persian cuisine. In her experience regarding the bridging of gaps between buyers and sellers, she said, “Absolutely – markets like this help bridge the gap. I started off my brand Persian Treats with Khalis Food Market and I am here because of it. This is where the journey began. Also, Rizwan is excellent and he helps anyone and everyone and does a fantastic job of handling the Market“. While the Khalis Food Market is off for the summer, the next one is due in Monsoon. Khalis Food Market has also recently announced that they are also going to be popping up in Karachi by the end of this year. Stay tuned to their updates on their Facebook page! In the mean time, if you would like to be a part of this Market, you can always reach them at khalisfoodmarket@gmail.com. Furthermore, the criteria for the Market must be met which means all things organic and categorized in one of the above mentioned segments. Happy healthy living!